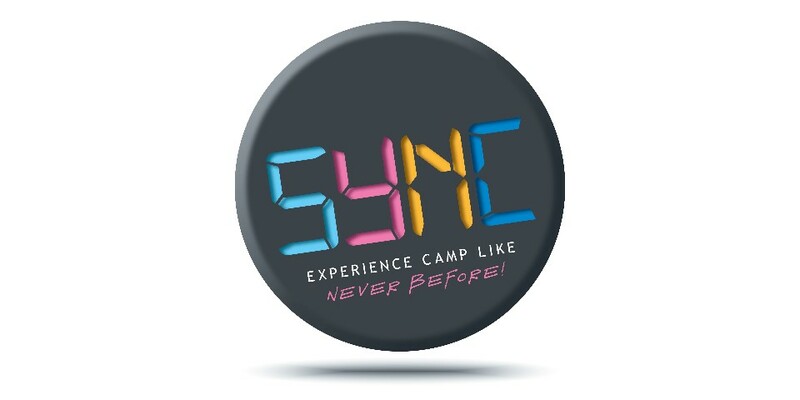 Your September school holidays will never be boring again with SYNC camping! This year's theme will be announced soon. ACCOMMODATION - Campers will stay in comfortable en-suite rooms that sleep 6. Campers will be given the opportunity to nominate 1 friend to room with. This will be done close to the time of camp. No registration is accepted without full payment. Registration and payment constitutes an acceptance/acknowledgment of risk. Numbers are limited and preference is given to early registrations. Applications received after camp is full are placed on a waiting list. So what does a week at camp look like? Well, you’ll get to start by finding out who you’re sharing a room with at camp for the week. When you register you can pick one friend you’d like to room with, but otherwise, it’s an exciting moment when you arrive at camp and find out who your team and awesome leader is for the week ahead! Every single day at camp, everyone heads to JZone; a time at camp where we all get the chance to connect with God. There’s singing, dancing, even rap battles occasionally pop up and the whole week we follow along with an alien who is lost and needs to find his way home. There will be some seriously hectic challenges throughout the week, for you to be involved in. Some difficult, easy, all are fun, but we guarantee that you’ll have a blast sharing the ride with yourcabin mates. The food at camp is great, and you will never, ever be hungry here. If you have special dietary requirements, then our team of professional chefs will cook up something especially delicious just for you! Just make sure you let us know in your registration what we need to make sure we’ve got ready for you. Our 24 hour onsite nurse is always on hand to fix up any bumps or scrapes you may get in all the fun and to make sure that everyone who needs it remembers to take any medication they bring to camp. Once again, let us know in your rego and drop it off to the nurse at the start of the week. Oh, did we mention our Tops Activities yet? Every day at camp, you’ll have the chance to have a go at our amazing activities. From go cart riding, to our giant swing, and archery to abseiling, there are so many activities to get your blood pumping and muscles moving, all facilitated by our qualified instructors of course. Your days are so full at camp, you won’t even have time to miss home. We promise that this will be one of the funnest weeks of your year, so check out the details, and then head to our rego link. Actually, why not tell your friends about it too? The only thing more fun than SYNC camp is doing it with your best friends! 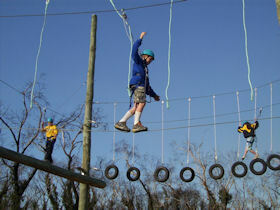 like abseiling and giant swing, archery and rock climbing. sing, dance and make new friends. Lots of fun for everyone!"